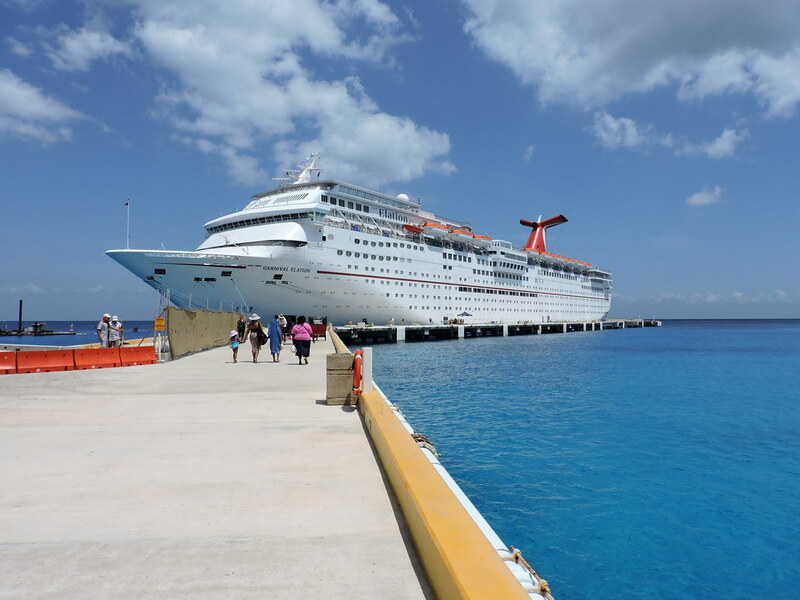 I’m finally getting around to taking a look at the pictures we took on our last cruise, more than two weeks later. I’m a little late since I started a new job the day after we got back, so I’ve been a little preoccupied, but today I finally got a chance to check out the images. We took two cameras with us, both point-and-shoots. One was our Coolpix S3500, a small pocket camera that actually does a decent job for snapshots. The second camera was our new Coolpix P530, which I purchased two days before we left on our cruise. I wanted a camera that was sort of a hybrid between a point-and-shoot and a DSLR, so that Andy could use it as well. I wanted good quality photos, with a minimum of fuss. This model seems to fit the bill. 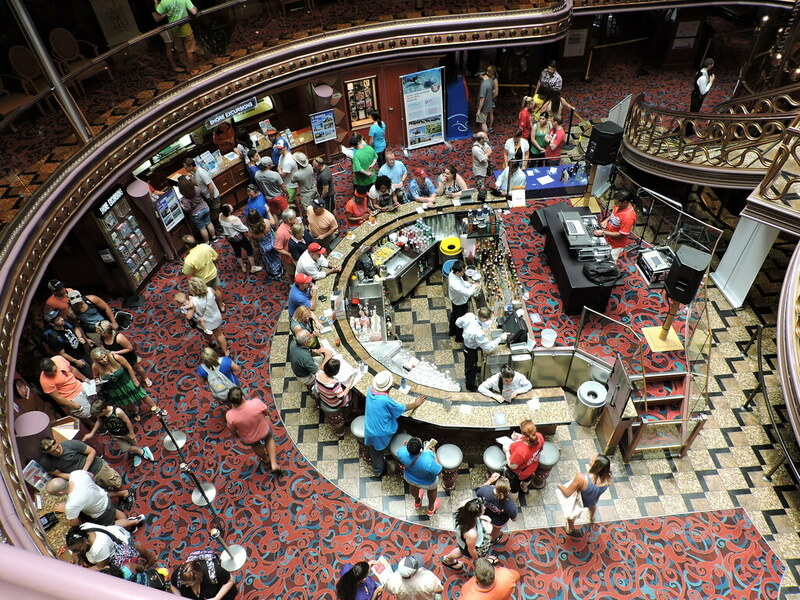 When I’m on a cruise to someplace I’ve never been, I don’t like to spend a lot of time staring through a lens, since it’s easy to get too caught up in the photography and miss actually seeing the sights. So I only took a total of 133 images with this camera while we were on our trip. But I was very pleased with how they turned out. Here are a few examples, and you can view the entire album on Flickr by clicking here. All the photos are unedited JPG files, straight out of the camera. 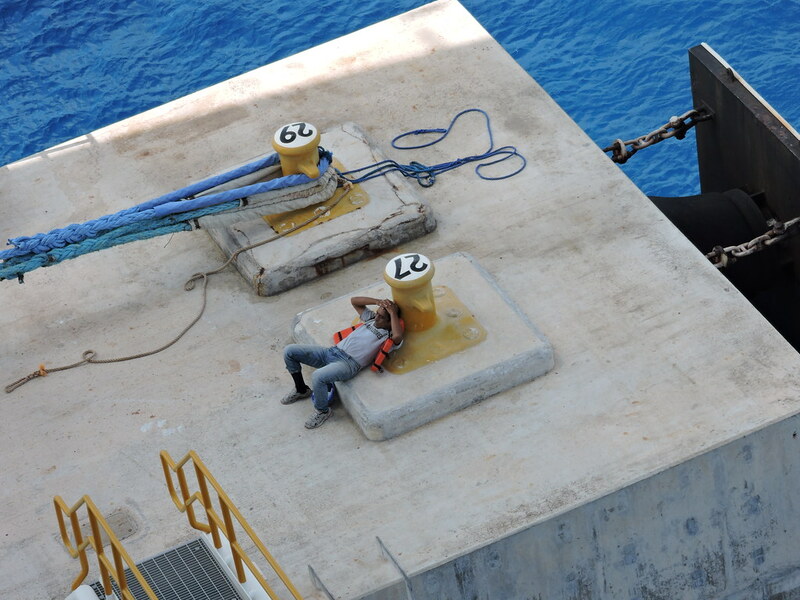 Took this shot from the Lido Deck looking down at one of the crew waiting to cast us off from Cozumel. The zoom lens on the camera is very steady and sharp! 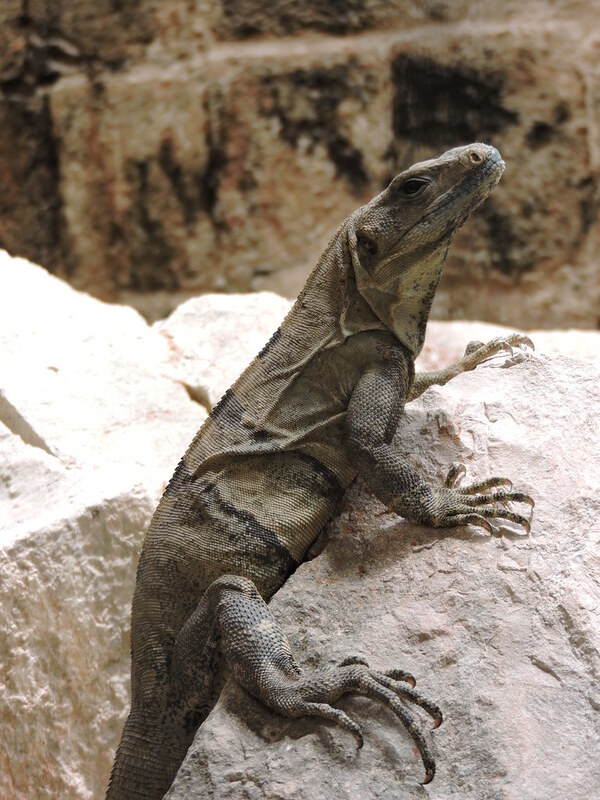 Caught this image of a large iguana at the Uxmal Mayan Ruins in Yucatan, Mexico. Once again, the zoom lens did a great job, and this was in full program mode. So, after my first test run, I’m very pleased with this little camera! It will never replace my DSLR’s, but when I need a lightweight point-and-shoot to capture moments on the fly, this will be my go-to Nikon. 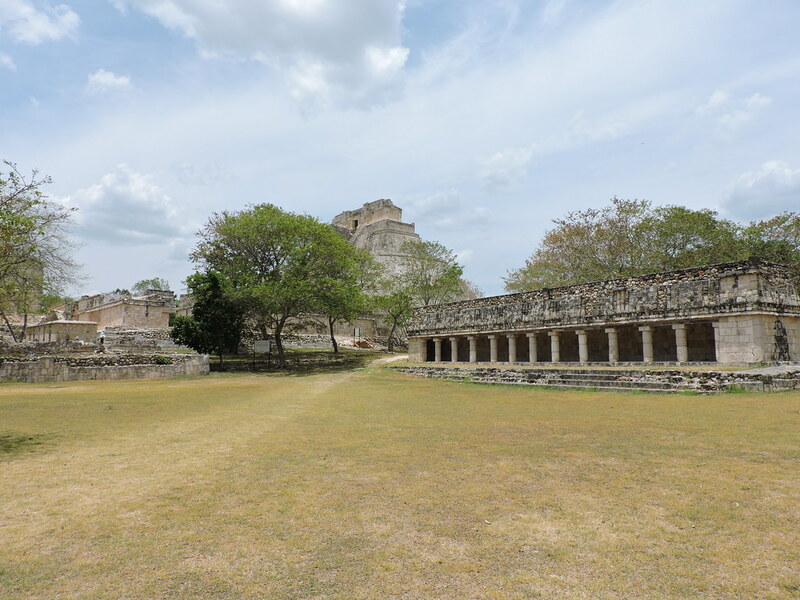 This entry was posted in Equipment and tagged Carnival, Coolpix, Cozumel, cruise, Elation, Nikon, P530, Uxmal. Bookmark the permalink.